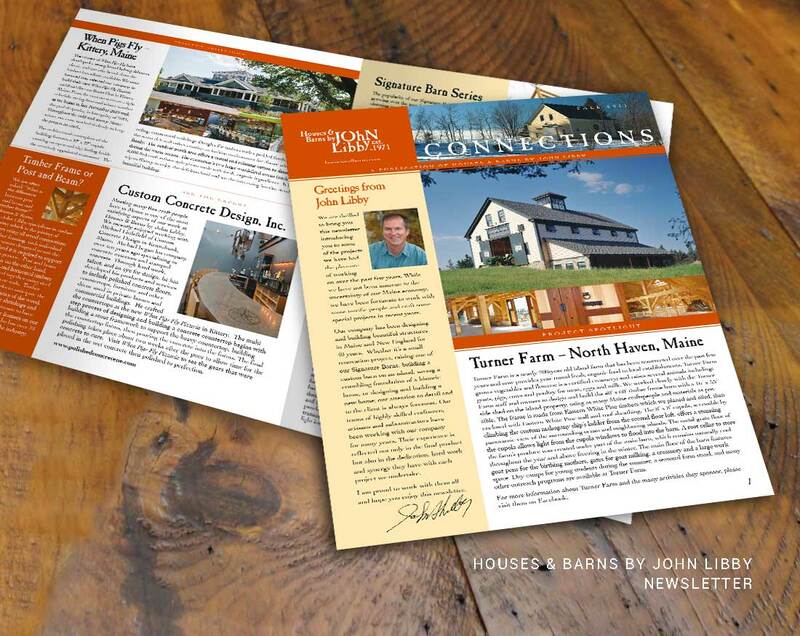 John Libby has a reputation throughout Maine for high-end custom homes and barns. They wanted to reach out to a wider market to increase the visibility of Houses and Barns in the region, and to educate current and prospective clients about the range of products and services available. We worked closely with them to redesign the company logo and update the brand look across their marketing materials. We created a new website that was easy to navigate, and created a 20-page capabilities brochure that describes the history and process of the company and is a showpiece for the company. 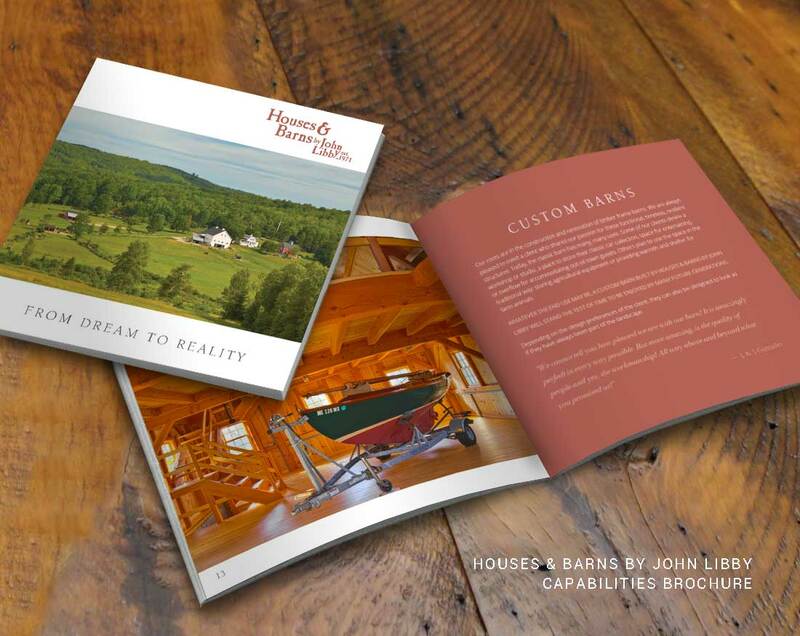 The brochure and the website reflect the upscale, high quality of the Houses & Barns by John Libby brand. 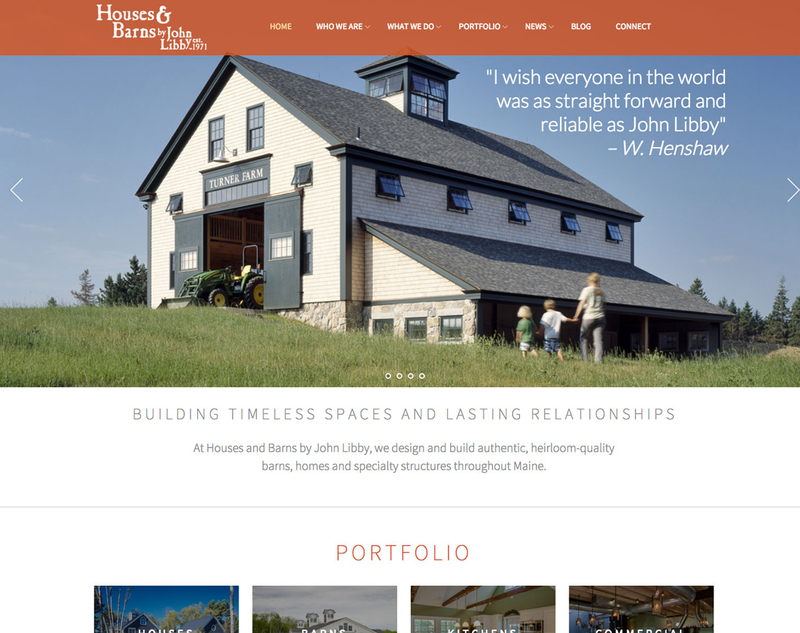 < See more of the Houses and Barns by John LIbby website.